A single Comodo® Unified Communications Certificate can provide SSL-secured communications for multiple domains and multiple host names making application server implementation and administration easier and more flexible than ever before. Comodo® SSL + UCC is a Unified Communications Certificate (UCC) used for securing multiple domains or sub domains with just one SSL Certificate. 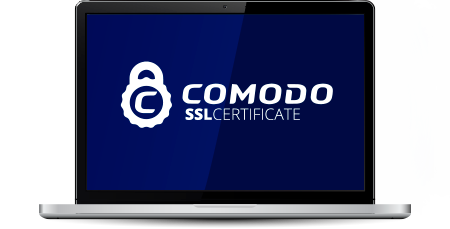 This Comodo® SSL + UCC Certificate is compatible with all servers that support the use of an SSL Certificate, including Microsoft Exchange and Office Communications Server. When you buy a Comodo® SSL Certificate you can be confident that your SSL Certificate will be trusted by all modern devices and web browsers. Great News! Your SSL Certificate will be issued by Comodo® using our fully automated fulfillment system. Comodo® are a leading SSL Certificate Authority. Our pricing structure for Comodo® SSL + UCC is well below the recommended retail price. Buy Comodo® SSL + UCC which includes two additional domains and sub domains from only $330.92 per year. Our unlimited reissuance policy for Comodo® SSL + UCC means that we will reissue your Comodo® SSL + UCC free of charge for the life of the SSL Certificate validity, for any reason. Comodo® SSL + UCC can be installed easily on any server that supports the use of an SSL Certificate. Trustico® includes the added benefit of Unlimited Server Installation licences and a $250,000 warranty. Designed for use with all platforms, including Microsoft Exchange and/or Office Communications Server networks, the UCC certificate is a star performer in the Comodo® digital certificate portfolio.